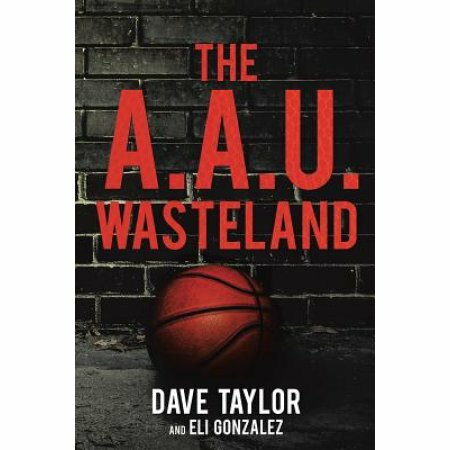 In their book “The AAU Wasteland,” Coach Dave Taylor and Eli Gonzalez pull back the rug on the AAU and no one is safe, whether they are players, coaches, parents, the NCAA, the NBA, or major shoe companies. Far too many young, influential, and talented basketball players put their hopes into this broken system, only to become non-functioning members of society. However, there is hope! Coach Taylor and Mr. Gonzalez provide a solution that can make the sport of basketball a pure journey to enrich lives once again. If anyone can speak on the current realities of the AAU, it’s Dave Taylor. He has played both high school and college basketball. He has coached Division I basketball for four years and was a head varsity basketball coach at the high school level for fifteen years in California. Taylor has been coaching high profile AAU teams and running camps for youngsters with exceptional talent for over twenty years. He currently runs the NATIONAL Jr. Phenom Camp since it started over ten years ago and has also been involved with national AAU programs such as Double Pump and the West Coast All-Star camp for decades. He oversees camps all across the country and has gone to Tokyo, Australia, Beijing, Singapore, and other countries to teach and coach the game of basketball. He will soon run the Plumlee Big Man Camps and other camps for NBA players. He was a character in and was a source of information for the New York Times Best Seller “Play Their Hearts Out” and is featured in the basketball documentary Hoop Dreams 2. Dave Taylor either directly coached or had in his camps current NBA players such as James Hardin, Carlos Boozer, Paul George, Clay Thompson, Drue Holiday, John Wall, Trevor Ariza, Gilbert Arenas, Mike Dunleavey Jr, the Lopez twins, and many more. Eli Gonzalez is a contracted ghostwriter for Xulon Press who previously coached a high school varsity boy’s basketball team. Together they intricately weave a story of innocence lost, peppered with stories of NBA legends, and advice from Coach John Wooden. It also includes Coach Taylor’s advice to players, parents, and coaches on leveraging the sport to a better future. “I coach and play by the acronym D-I-C-E!